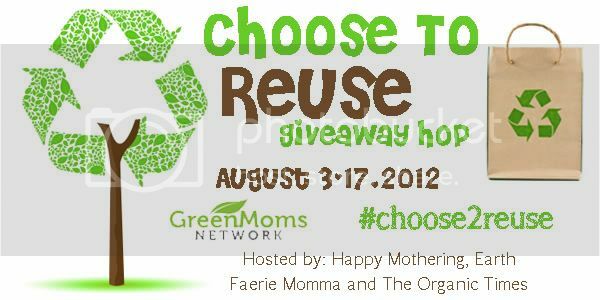 Thank you for joining us for The Choose To Reuse Giveaway Hop! This wonderful event is hosted by The Organic Times, Happy Mothering & Earth Faerie Momma. There are blogs participating and each one of them has a giveaway worth $25 or more. This event will end Friday, August 17th at 11:59pm EST. After you enter my giveaway be sure to hop on over to the other blogs! As a review blogger I tend to gain a lot of 'stuff' in the process. I have reviewed some great companies that I just don't have a need for the product right now. Maybe you do though! I have compiled a few items that are not being used, that I wanted to see if my readers may have a use for. This giveaway is for USA only as I am mailing it directly. Disclaimer: A Year of Jubilee Reviews and the other Choose To Reuse bloggers are not responsible for unfulfilled prizes. "throwaway" sippy cups and spoons. plastic solo cups, plastic forks and knives. Canning veggies is my fave! Glass jars, plastic food containers, kleenex boxes, show boxes, and anything else I can think of a use for. I reuse jars, especially very large mayonnaise and pickle jars. They're great for kids' craft projects, for holding small items like tacks, paper clips, pencils and pens, to collect used oil and grease. My kids use them, too, to hold bugs, when they go out collecting. We reuse glass for everything. Storage, crafts, glass can be reused for anything. I reuse jars, food containers. I reuse milk jugs for watering cans for a while before recycling. Reuse shirts or socks with holes as cleaning rags. Glass jars and wine bottles! I love the way they look and they are functional as other objects! I refill/reuse glass drink bottles. We reuse food jars - they are great for storing small items! I reuse plastic garbage bags and solo cups. We reuse all plastic bags and glass jars. Glass jars and drink containers. I have cloth napkins, so we reuse those. I save glass jars for storage, and just found a local place to get eggs so I will be saving my egg cartons. I use reusable grocery bags. We try to reuse everything! We three small kids just about everything can be used for a craft project, cardboard boxes, plastic bottles, scrap paper, old clothes, and egg cartons. We also always reuse giftbags and tissue paper. 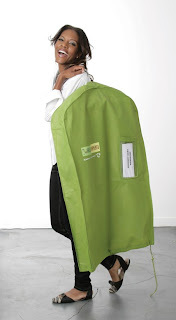 We cloth diaper, reuse jars, use old t shirts to make bags, we try to reuse everything we can. We don't use paper towels or plastic bags. We don't use wrapping paper but reuse fabric. We reuse printer paper by letting our son color on it, then we save the colored pages to use as thank you notes for family. glass jars - store dried herbs and tea leaves in them. I reuse grocery bags, packing materials that come with packages I receive, & everything else I can. Butter and sour cream tubs - these work great to pack leftovers in. Any tubs, jars, pie pans, toilet paper rolls, newspapers, magazines, pretty much anything we can. I reuse anything I can find a use for. Foil pans, glass jars, plastic containers, plastic grocery bags. We use newspapers to line the bottom of the bunny's cage. I reuse plastic grocery bags. Sour cream, yogurt, and pesto containers - they are perfect for leftovers. Jars, grocery bags and bottles. Thanks for the chance to win! Clothing scraps, spare buttons, food containers. I reuse plastic bags, fabric scraps and paper scraps. I reuse grocery bags, bottles, baggies, dryer sheets. We use reusable paper towels, wipes and cloth diapers! I re use toilet paper.